GEUHG24S1 gas generators from Olympian Generators come as a complete system which is designed and built at their ISO9001 certified facility. They are factory tested to design specifications at full load conditions. In addition, they are fully engineered with a range of options and accessories. 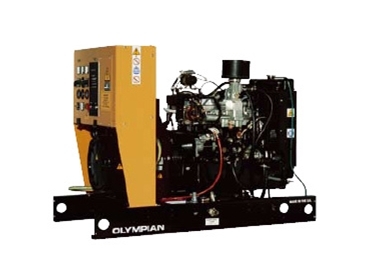 Olympian Generators are designed and built in Caterpillars European manufacturing facility. They have the full support of Australia's largest genset warranty, service and parts network. In addition, they can now be purchased from local Olympian Distributors. This ensures that customers don’t only receive a robust, state of the art European built genset but also receive the support and attention that only a local who understands local conditions and issues can offer.